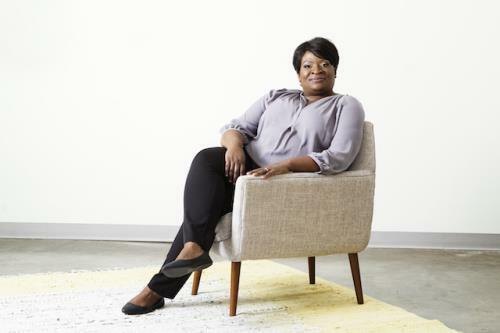 Chattanooga based startup CPRWrap, founded by Felicia Jackson, has been chosen as a Techstars mentorship-driven accelerator program, of which only 1% of companies that apply are accepted. Along with eight other startups, CPRWrap will receive mentorship from experts and advisors in the fields of entrepreneurship, startups, community leadership, corporate innovation, and venture capital through the Techstars accelerator. This opportunity comes on the heels of a strong 2018, which saw CPRWrap working with vendors such as Walmart.com. Additional partners that teamed up with CPRWrap last year include Trio Safety, Parkridge Health Systems, Access Family Pharmacy, Hamilton County School System, Greater Collegedale School Systems, and Skills Train Distribution. Most recently, CPRWrap ended a three day sales event on Zulily as well. Ms. Jackson, who not only founded the company but invented the product, came up with the CPRWrap after experiencing the trauma of cardiac arrest firsthand. She was certified in CPR but froze when her toddler son stopped breathing in the back seat of her car. Thanks to the quick actions of her husband, their son survived, but Ms. Jackson learned a valuable lesson and walked away with a new mission. Ms. Jackson designed the CPRWrap to make it possible for anyone to effectively perform CPR at a moment's notice with a translucent overlay that guides one through the four American Heart Association recommended steps. Simple illustrations tell the person exactly where to place their hands and provides a sanitary one-way mouthpiece that protects one from bodily fluids and drug residue.The CPRWrap is also AED compatible, made with medical grade materials, and is easy to store and carry due to a compact design. Why Does Walden Need A Large Grocery Store?